​The Riverport Women's Sailing Conference will be held on Saturday, March 30, 2019 at the Riverport Wooden Boat School, Hudson River Maritime Museum, 50 Rondout Landing, Kingston. Modeled on the National Women’s Sailing Conference, which has endorsed this project, beginner and advanced women sailors can expect a full day of exploration at this women-teaching-women sailing conference, with classes held at the Riverport Wooden Boat School and the Hudson River Maritime Museum. Hands-on workshops are paired with classroom theory, history lectures and intimate conversation circles. 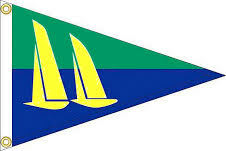 Learn Sailing Theory, Navigation, Race Management, Outboard Motor Repair, and more. Our Keynote presenter is Captain Peg Brandon, President of SEA Education Association in Woods Hole, Ma. Brandon was a former captain of the sloop Clearwater. Her organization offers semester-at-sea programs for teens aboard Tall Ships in the Atlantic and Pacific Oceans. Students learn sailing techniques while conducting valuable oceanographic research. Optional dinner with Keynote on Friday, March 29 and Post-Conference networking dinner on Saturday, March 30 are available for an additional fee of $40 per person. Special conference weekend hotel rates available at Best Western in Kingston (845) 338-0400. Mention Riverport Women's Sailing Conference when reserving. For program information, email Deb Medenbach dmedenbach@gmail.com. Workshop 1: 9:30 a.m. to 10:55 a.m.
Workshop 2: 11:05 a.m. to 12:30 p.m.
Workshop 3: 1:45 - 3:10 p.m.
Workshop 4: 3:20 to 4:45 p.m.
​A special discounted hotel rate with breakfast included has been secured at the Best Western Plus, 503 Washington Avenue, Kingston. Just mention the Riverport Women’s Sailing Conference when making your hotel reservation. Hot breakfast included between 7 and 10 a.m. Call 845-338-0400 or go to bwpkingston.com. Full refund before March 17. 2019; Half refund if canceling between March 18 and 22. No refunds after March 25, 2019.